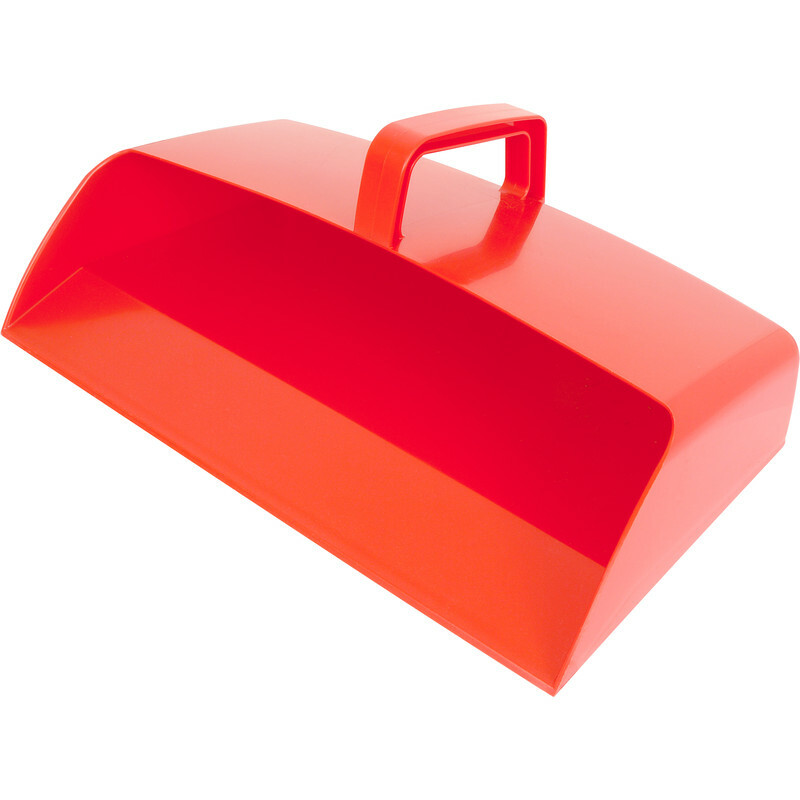 Wide Enclosed Dustpan 305mm is rated 4.8 out of 5 by 12. Rated 5 out of 5 by Starcott from A great workshop asset. Have been looking for such a dustpan as this for a long time. An ideal size for my needs, feels comfortable in the hand and certainly looks as though it will cope with regular use. Rated 5 out of 5 by Colin875 from No Rubbish Here!!! Good robust large dustpan. Very pleased with purchase. Rated 4 out of 5 by Anonymous from good dust pan nice width, solidly made. Rated 5 out of 5 by furnman from dustpan This is a well made traditional dust pan which are much better to use than the other modern type as this does not have the high large lip on the front leading edge, so easy to sweep dirt into and also the covered top holds dirt in the pan better than the open type. Quality product. Rated 5 out of 5 by Evdama from Why am I writing a review of a dustpan??? Because it's the only one I've had ,and there's been countless,that does not crack when I tread on it .Best alternative to a metal one so far.The wooden handbrush I also bought fits perfectly inside. Rated 5 out of 5 by Splinters from Nice solid product Solid traditional style dustpan, keeps dirt enclosed.